How to Update Your Android? Any smartphone or tablet running on an Android operating system gets recent updates from the Settings menu, if they are available, of course. Updating Android is extremely important for the device. It gives access to new features and improves its speed and performance. Through these updates, Android gadgets stay under protection against new security threats and issues. However, you should always remember that mere availability of an Android OS update doesn’t always mean that it is available for the device you own, be it at present or in future. If any user wants to check whether a gadget has got a recent update pending or not, he can easily find this information in the update section of his Android device settings menu. The Android developers usually revise and update their operating system to make it trendy and upgraded with new features and plugins. The Android phone updates are conditioned and customised according to the version of your Android phone. If your Android phone is older, the notifications for updates would become almost extinct since your device becomes incompatible with newer versions of the Android operating system. However, the latest survey reveals that just 0.2% of existing Android phones are running on the newest Oreo 8.1 operating system. The reason is that Android OS is too fragmented, which means that there are more than 15 different versions running at the same time in the world. Manufacturers are not eager to provide any updates for their older gadgets. How the updates help your device? The Android OS updates improve the performance of smartphones and tablets. They also enable new features which are relatively handy. For example, if such resourceful app like UK Mobile Casino is installed on your device, it should really run smoothly to harness all the benefits from the gameplay. Unfortunately, the updates are specific to devices and you may have to abandon your device after some time and buy a new one since these updates can be no longer available for older models. This becomes uneconomic for the user. This is a part of planned obsolescence. The planned obsolescence occurs when a technology company plans that its products must become obsolete at a given time. How to update your Android phone? Connect your device to the WiFi connection. If there is no WiFi connection, you can use mobile data to connect your phone to the Internet. The next step includes tapping on your device settings in the phone menu. The “settings” are usually at the bottom of any Android phone menu. In this step, you can see a lot of options in the “settings”. You should scroll down to the “About Device”. There are several options for you in “About Device” section. 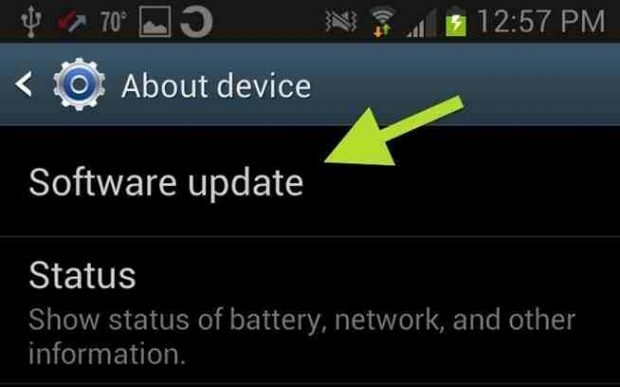 You should tap on “Software Update” or “System Firmware Update” depending upon the version of your Android phone. Following these guidelines, you can be sure that your device will be updated to the latest version. If you have any UK casino app or other gaming apps installed, if the games are played without any hiccups or interruptions, then you might have the latest version Android software updated. The same process goes for other applications as well. The updates are automatic; however, they can be done manually for the smoother function of the applications installed on your device. For example, Vegas Mobile Casino will run hassle-free if you keep your Android device updated. The updates designed for devices are available for OS versions compatible with them.